A chemistry expert witness has extensive industrial experience which includes manufacturing processes, research and development, quality control, and regulatory compliance. If for any reason you have any questions or comments about a chemistry expert witness, feel free to give us a call at 630-466-4040 or fill out the form to the right and a representative will respond shortly. Professional Analysis and Consulting, inc. has experts experienced in worker safety, accident prevention, and training on an industrial scale. Chemistry expert witnesses can perform investigations and analyses from a chemistry, biochemistry and microbiology standpoint. Chemistry expert witnesses have a clear knowledge and understanding of OSHA, EPA and USDA regulations to draw sound, verifiable conclusions. The expertise of chemical and chemistry expert witness extends to the environmental aspects of chemicals such as chemical ground contamination, water contamination and air quality. Professional Analysis and Consulting, inc. can provide a chemical expert witness that is very reasonably priced compared to other consulting firms and offer diverse approaches to solving complex problems requiring the use of a professional chemistry expert witness. 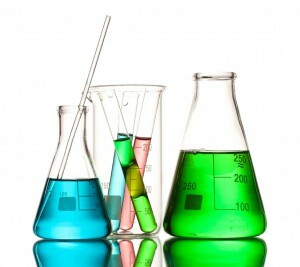 Let us help you learn how our chemistry and chemical experts can find solutions for your unique situation and needs. If for any reason you have any questions or comments about a chemical expert witness, feel free to fill out the form to the right and an associate will respond shortly or give us a call at 630-466-4040 to speak with a knowledgeable representative.